The process of training pets can be difficult. Puppies often become housebroken with age, but it is very much an uphill battle for pet owners. Getting a dog house-trained requires time, effort, and patience. Dog owners have to expect that their young dogs are going to have accidents occasionally. Some dog owners may avoid getting puppies because they've anticipated this problem. However, there are plenty of dog owners that adopt adult dogs, and they may experience the same issues. It's possible that the original owners stretched the truth when they were asked whether or not the dog was house-trained. However, dogs will respond to different environments in different ways, and it is always possible for a dog that is housebroken to exhibit different behavioral patterns in an unfamiliar environment. Since the behavior of dogs can be unpredictable, almost all pet owners have to plan for pet stains at some point or another. Pet stain removal in Mill Creek, WA is part of the life of almost any pet owner, but that doesn't mean they can't hire assistance. Pet owners hire assistance all the time for many other aspects of pet ownership, no matter how self-sufficient they are. Many people hire dog walkers when they are too busy to walk their dogs on a regular basis. They certainly hire medical professionals for their dogs. They will also often hire dog trainers. 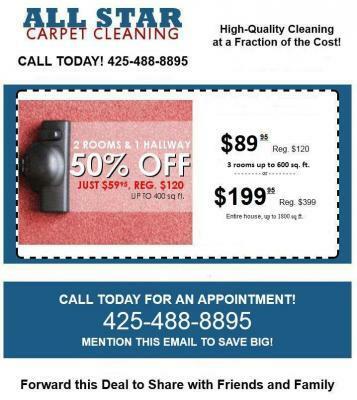 Hiring a carpet cleaning business for the sake of pet stain removal in Mill Creek, WA belongs in that same category. Our carpet cleaning service can help dog owners and other pet owners with some of the unsavory aspects of pet ownership and take care of your pet stain removal in Mill Creek, WA. We will make sure that we leave our customers' houses with clean carpets.